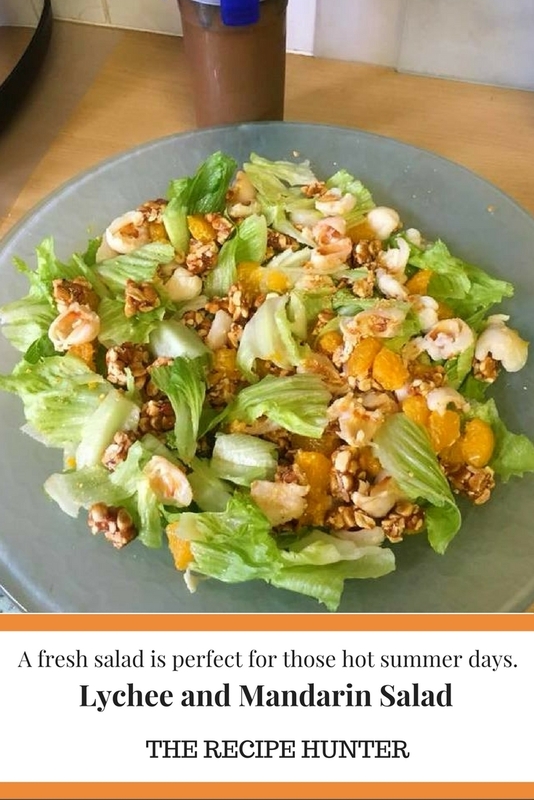 A fresh salad is perfect for those hot summer days. Using a whisk (I use a stick blender), add the oil until blended. You may need to add more peanut butter or sugar – depending on your taste. Place the lettuce on a platter or large bowl. Throw in the Lychees and mandarins (I cut the lychees in half as they are very big). Dress salad just before serving. Stunning and refreshing. 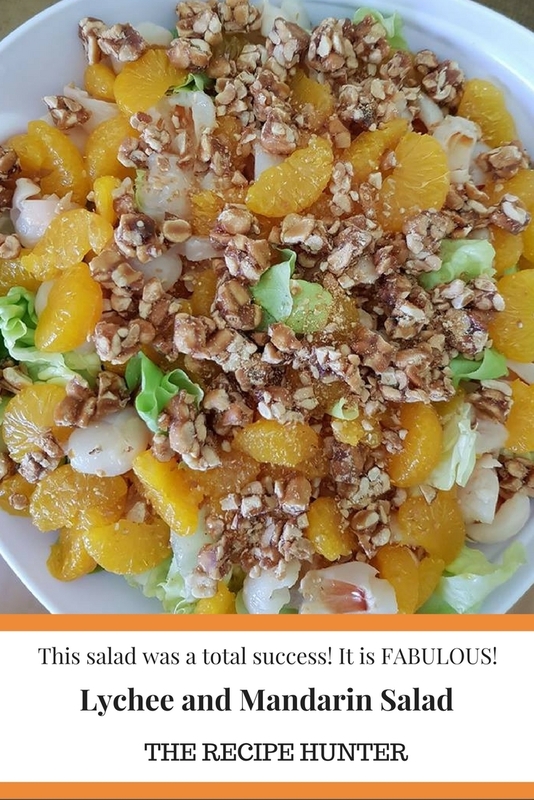 Addendum: Hannah Frank Witt, your salad was a total success! It is FABULOUS! Everyone loved it and commented on the familiar but different flavors. I layered it in a deep salad bowl as there were 15 for lunch and it worked well. And I used honey, not sugar. Yummy!